Canadian Forces base west of Barrie has been a long-standing part of the community. This past weekend there have been numerous local events to commemorate Remembrance Day. We join with others around the world who are paying honor and remembering the sacrifices made on our behalf. Barrie is one of the unique communities that has a military base, practically next door. Most of us are quite used to seeing men and women in uniform around town and having families from the base as members of local organizations, as neighbours and as friends. 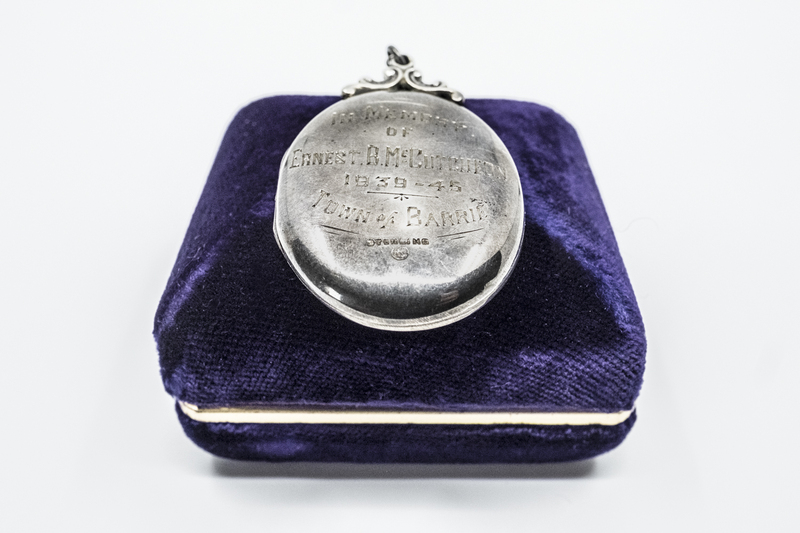 Barrie and Base Borden’s history is long and intertwined. 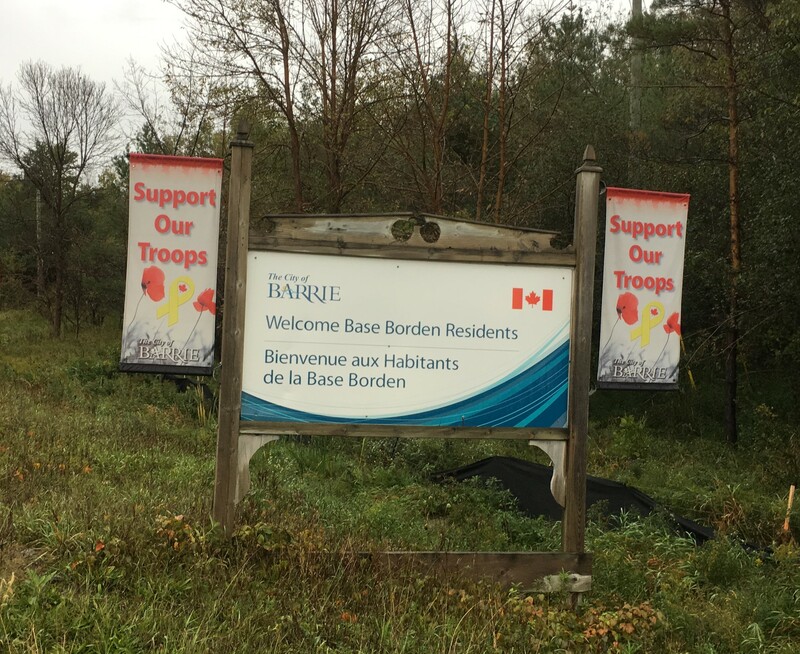 Base Borden, first known as ‘Sandy Plains’ and just a short drive from Barrie, was established to train additional troops for the Canadian Expeditionary Force battalions overseas in WW1. It was the Grey and Simcoe Foresters that first cleared the land in preparation for the base’s official opening in 1916. Thousands of soldiers trained for the war at CFB Borden and it continues to fulfill its training mission more than 100 years later. 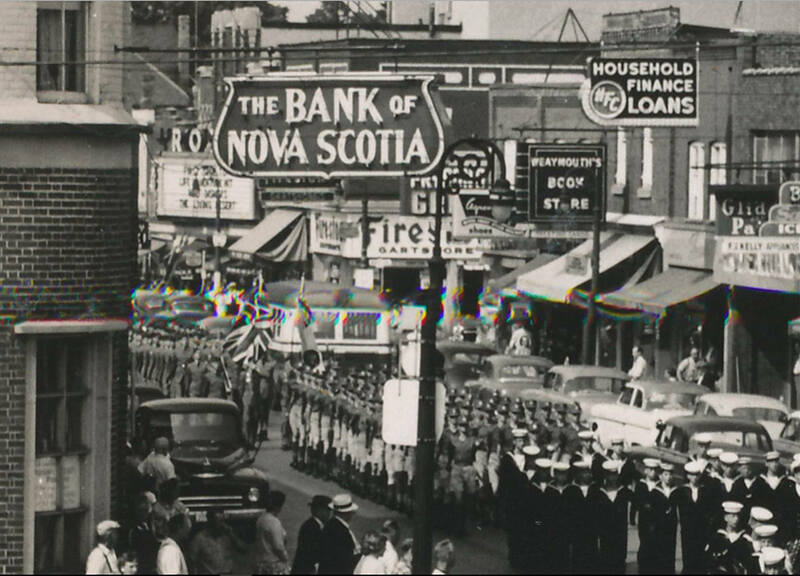 Camp Borden’s residents have been mostly ‘temporary’ citizens, but many have returned or stayed and made Barrie their permanent home. Such is the case of Gerry (Bourne) Tordiff. You might recognize that name from the fantastic Capitol and Roxy theatre photos Bob and Gerry have donated to the Archive. 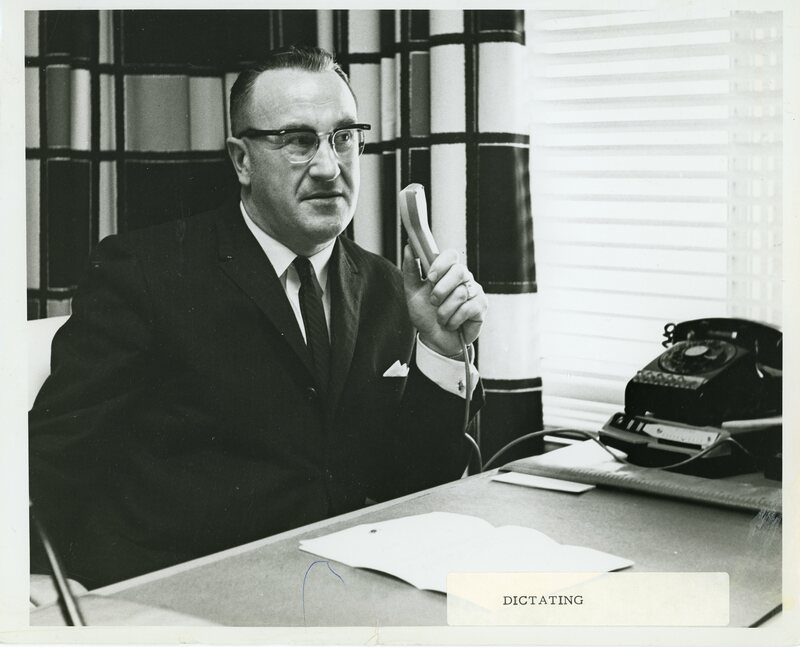 Bob’s dad Harold was a projectionist and his brother Bill had an amazing dog Teddy who delivered newspapers – but those are blogs for another day! When Gerry’s dad, Frank Bourne, and his two brothers, Sid and Harry arrived from England in 1925 and 1927 they all joined the Air Force in Camp Borden. 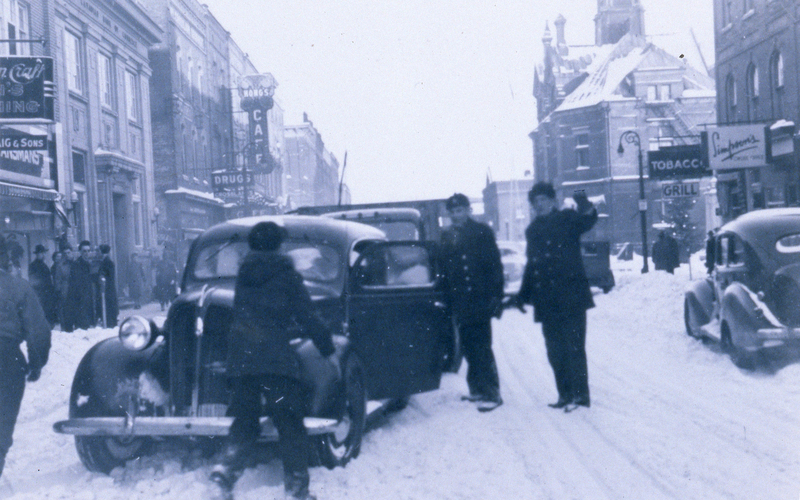 After their marriage in 1937, Gerry’s parents lived in Barrie while her dad served in Camp Borden. After living all across Canada at Air Force Stations (Gerry went to 17 schools) they retired to Barrie in 1956 until, at age 90, they moved to London to be near Bob, Gerry and their family. Gerry and Bob have been regular contributors to the Barrie Archive since our pre-launch days, making a photo and memorabilia ‘drop off’ part of their annual summer visit to the area. 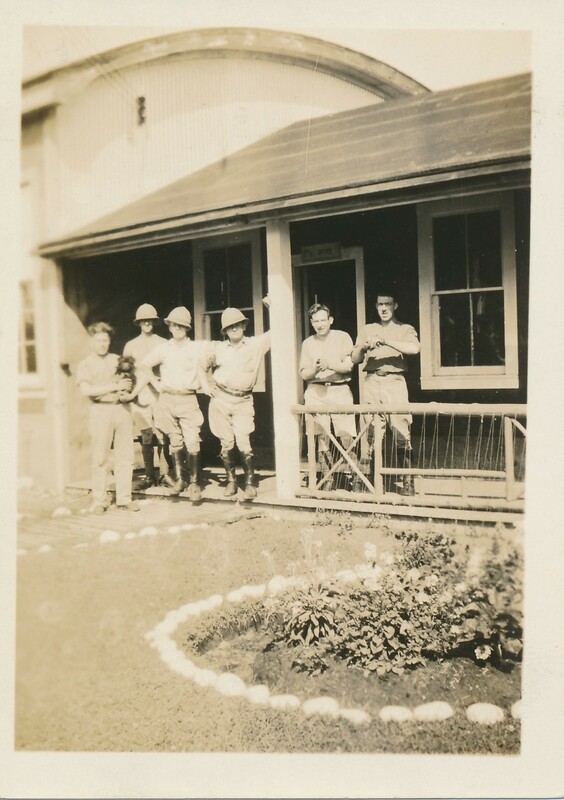 This year was no exception and included some great photographs of Camp Borden during the 1920’s (watch for upcoming special collections in the Archive that feature Base Borden and other communities surrounding Barrie). One of the incidents captured in their photos was a plane that crashed in the tree tops of Camp Borden. The pilot Scotty McCaul, later “went to the dance that night with his head bandaged!” Another, but not so lucky landing, was the fatal crash of F.L. 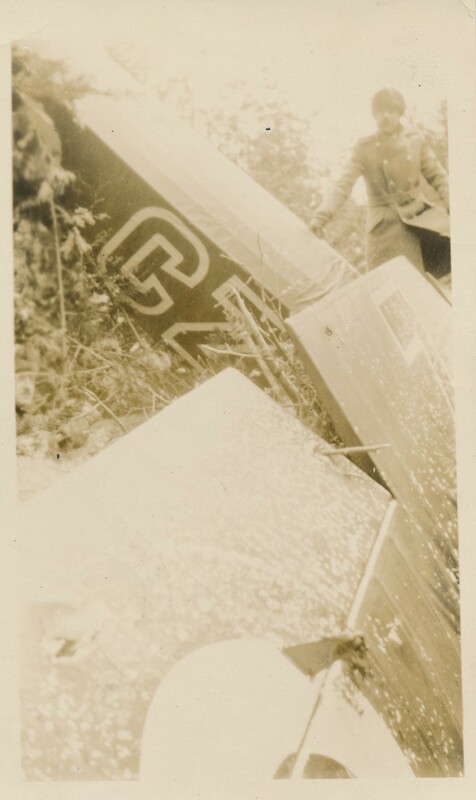 Stafford’s plane into the McKeown’s house at the lower end of Camp Borden. 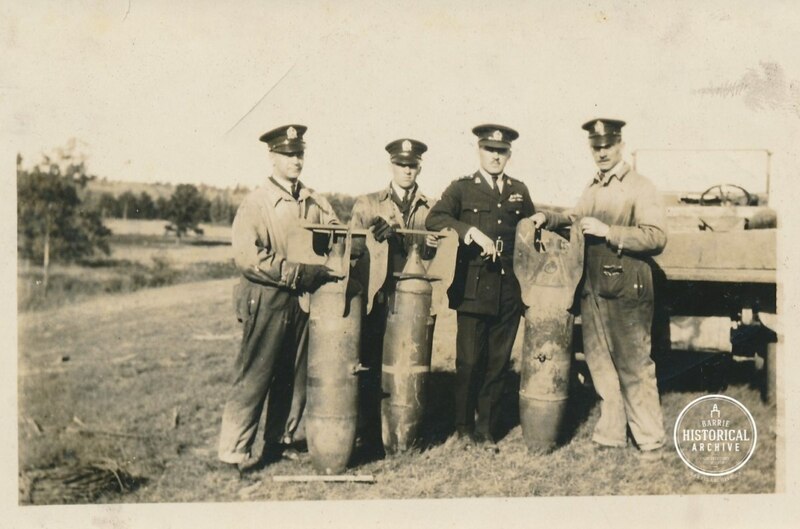 The Bourne photos of Camp Borden provide personal glimpses of life on base in the 1920’s and 30’s. We are fortunate to have the Base Borden Military Museum, The Grey and Simcoe Foresters Regimental Museum, locally written and performed theatre pieces such as ‘WE MUST HAVE MORE MEN! 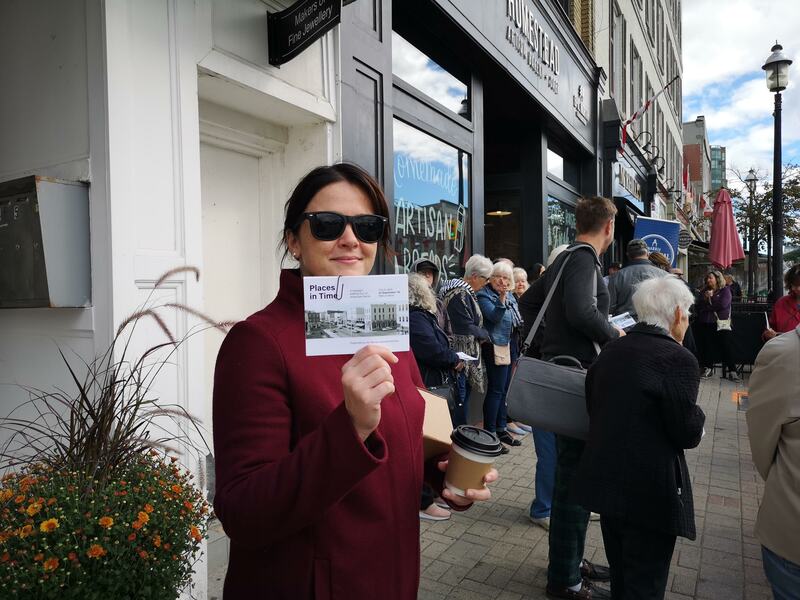 Barrie and the Great War’ and of course photos donated to the Barrie Historical Archive by families such as the Bourne’s, to remind us of our rich and cherished military history … lest we forget. Deb Exel is a veteran project manager and intensely occupied as a workaholic, serial volunteer, and rabid local historian (being busy is for amateurs). Since her desk is 'location independent', she can be found running the world from, well, anywhere in the world. Her other 'happy place' is wherever her husband and cat are.